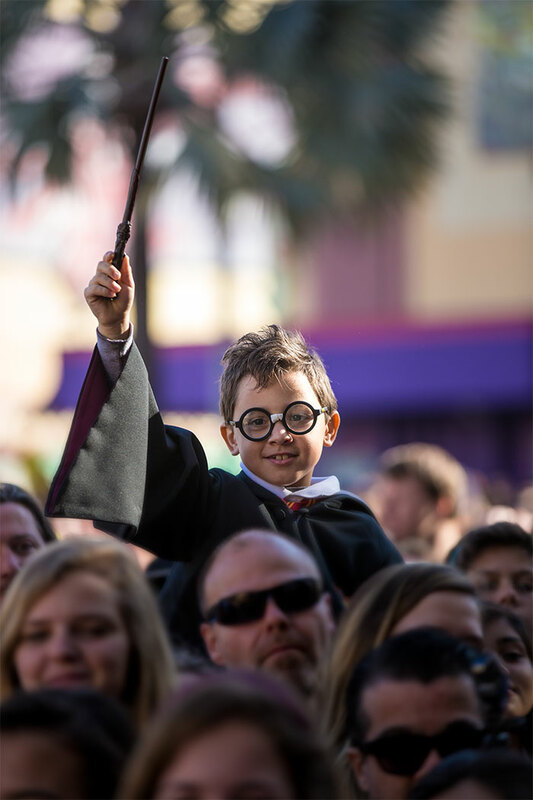 If you’re a wannabe witch like me, then you’re counting down the days until the fourth annual A Celebration of Harry Potter taking place January 27–29, 2017, at Universal Orlando Resort. In case you missed it, Universal recently announced the first wave of Harry Potter film talent attending the event including, Warwick Davis (Professor Flitwick and Griphook) and Matthew Lewis (Neville Longbottom). Even more talent will be announced on a later date so keep checking here for all the latest news. In the meantime, I thought I would share four insider tips with you so you can get the most out of the magical celebration. My favorite thing about this event is seeing all the different cosplay outfits. Harry Potter fans are not afraid to get creative and I always look forward to admiring all the fun DIY cosplay outfits people make at home. Need inspiration? Re-watch the Harry Potter films and pick your favorite character or scene to recreate. Personally, I love throwing on my robe and Gryffindor necktie (represent!). If you’re local, head over to Madam Malkin’s Robes for All Occasions in The Wizarding World of Harry Potter – Diagon Alley and get fitted for your Hogwarts school uniforms. 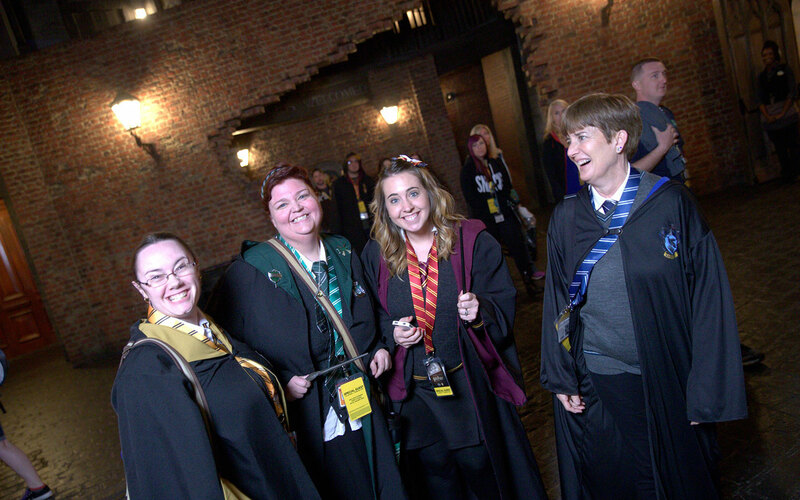 You can also purchase your robes and other Harry Potter merchandise at our online store. Whatever you do, don’t leave your wardrobe to the last minute! Know what you’re going to do and when you’re going to do it. This year’s Harry Potter Expo is more than double the size of last year’s event and there are a TON of new things to check out. Make sure you plan out your time strategically so you can experience each and every booth at the expo as well as attend all the panels and demonstrations. Stay tuned for the full schedule of events, including timing and locations, which will be announced in early January. If you want to experience everything the event has to offer, you’ll want to grab a vacation package. 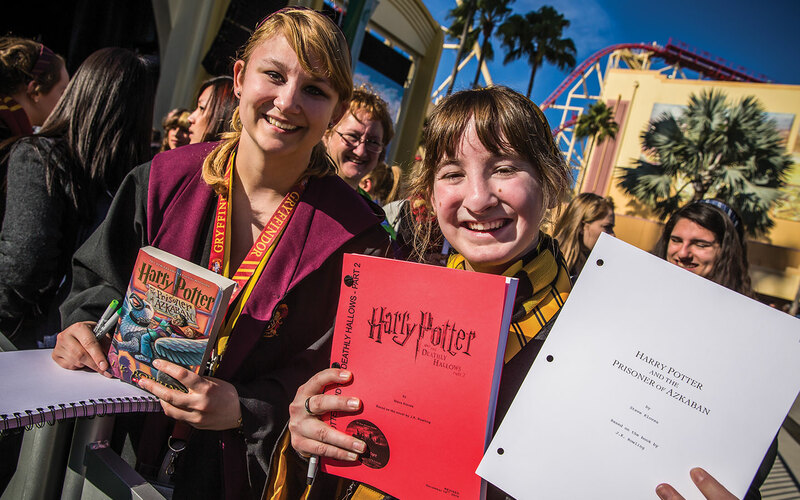 Universal has already sold out of one of the packages, so grab one while you can. The Celebration Vacation Package is awesome. It gives you special guest access at the panels and demonstrations AND an exclusive talent Q&A panel just for package guests. This event spans both Universal Orlando theme parks. That means some walking (or a ride on Hogwarts Express!) and a lot of excitement. Don’t forget to stay hydrated. What I do is head over to the beverage cart and pick myself up a Pumpkin Juice. 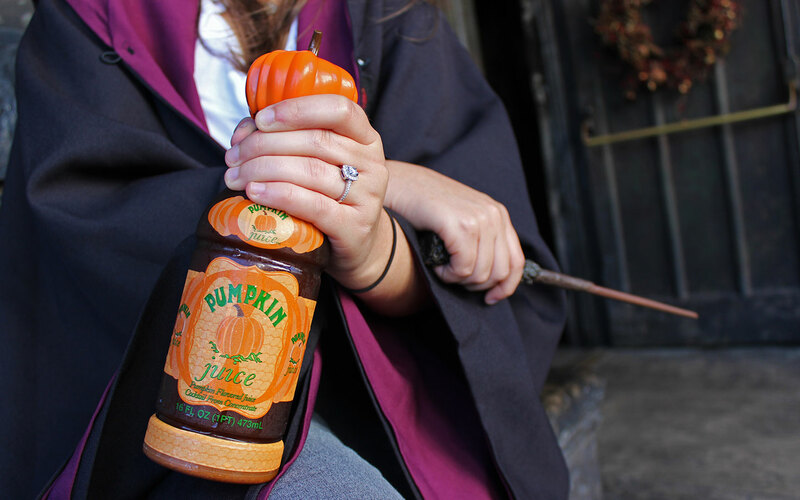 That way, I can throw it in my Hogwarts tote bag and take a sip whenever I need a pick-me-up. The bottle is also reusable so you can refill it with water at the fountains. 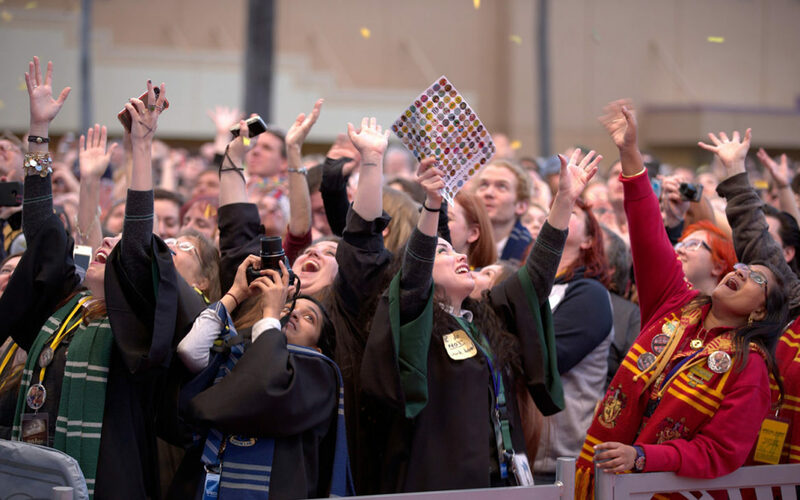 What are your tips for attending A Celebration of Harry Potter? Post a comment below. Written by Siera Duiser: Siera Duiser is a travel agent with Destinations in Florida, Universal Studios Travel Agency Partner of the Year in 2010, 2011, and 2012. She loves helping plan Universal Orlando adventures at no cost to you. Contact Siera to book your next vacation at siera@destinationsinflorida.com or 734-771-1290. You can also follow her on Facebook and Twitter.